Looking for some Hardee’s secret menu items or for the Hardee’s menu? On this page you will find all of that and more. This is one of the biggest burgers chains in the world, and for millions of Americans, as well as customers across the Middle-East and other regions, this is the place to be when it comes to delicious, stacked and packed burgers. If you thought the Hardee’s and Carl’s Jr. logos and menus looked similar, you would be right. Both of these chains are owned by the same parent company, CKE Restaurants. Initially, this company owned Carl’s Jr., but in 1997 they bought out Hardee’s and added thousands of restaurants to their portfolio in the process. This parent company has a revenue of around $1.2 Billion, and a reach that even the biggest brands would be jealous of. 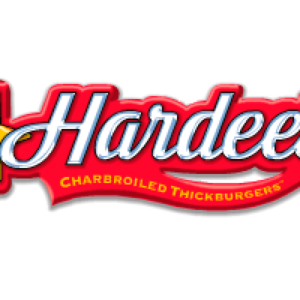 The Hardee’s brand was established by Wilber Hardee back in 1960. Wilber was 42 at the time and had spent his life trying to make a living as a musician, then a cook, while also serving in the US army. Quick-service restaurants were becoming popular during the 50s, and this is what attracted him to the industry. He opened several restaurants that focused on fast food, and then eventually created the Hardee’s brand. The first location was in Greenville, North Carolina. It proved to be a success, and he was able to open a further location just a year later. As the brand prepared for a decade of growth, Wilber Hardee threw it all away. He lost a majority share in the company during a game of poker. After which he sold his remaining share. 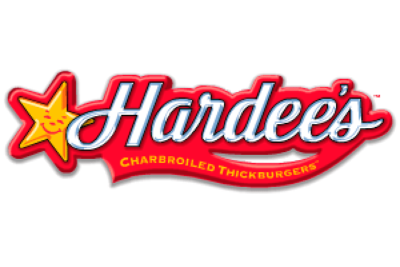 In the hands of new owners, Hardee’s grew exponentially. By the end of the decade they had over 200 locations, including an international restaurant in Germany. In 2008, aged 89, Wilber passed away. He was laid to rest in his hometown of Greenville, the same region where he had established the Hardee’s brand some half-century earlier. And the same region where he had thrown it all away. All Hardee’s burgers are Charboiled. This basically means they are grilled like you would grill on a barbecue, only without all the black bits around the edges and the frozen bits on the inside (it’s okay, we won’t tell anyone). The Hardee’s menu is more or less a replica of the Carl’s Jr. menu. There are all kinds of 1/2lb burgers, 1/3lb burgers and 1/4lb burgers. There are All Natural burgers, which contain beef from cows that are grass fed and do not contain hormones; Tex-Mex Burgers, which have a little Mexican flavor added to them; and more. In fact, there are quite a few Mexican inspired meals on the Hardee’s menu, including all kinds of burritos. You can also order some breaded Chicken Tenders, fish sandwiches, and a host of sides. The Hardee’s menu also includes a section for a “Value Menu”. As with similar option on the McDonalds menu and the Del Taco menu, this basically offers you a selection of menu items for next to nothing. It’s not quite a dollar menu. Very few items go that low. But most items are just a couple of dollars. As with many popular chains, and indeed many of Hardee’s competitors, there is also a breakfast menu. But you have to get in early to order items from this menu. The Hardee’s menu is fairly standard for a burger joint. But that hasn’t always been the case. In the early 1900s, they decided to compete with KFC by selling fried chicken on their menu. They also sold roast beef sandwiches, like those sold at Arby’s. Many of the things that they have introduced over the years, including their Mexican options and their chicken, have remained, but others have since disappeared. It’s fair to say that they have tried a few changes over the years, and some of these surprising menu items remain in the Hardee’s secret menu. The best secret menus are usually found at burger chains, including the McDonalds secret menu, the In-N-Out Burger secret menu and even the Carl’s Jr. secret menu. The Hardee’s secret menu is certainly no exception to that rule, and there are plenty of extra items to explore here. Like Carl’s Jr., Hardee’s adverts tend to be very controversial. They thrive on this controversy, so much so that it almost seems to be a marketing tactic for them. They have been called sexiest, with some critics saying that they have “set feminism back several decades”. However, while they have plenty of critics and where many groups have called for their ads to be pulled, these campaigns continue to work. Many of their campaigns pull-in millions of views online, are seen around the world and get everyone talking about the brand. Essentially, that’s exactly what Hardee’s are aiming for. And the more that the complaints roll in, the happier they will be. In the early days, $1 could get you quite a lot at Hardee’s. In fact, it could get you 2 cheeseburgers, 2 fries and 2 shakes. These days $1 doesn’t go as far as it used to, but make no mistake about it, this is still cheap food served quickly. On their Value Menu your dollar goes very far. The cheapest item is the Apple Turnover, which you can get for change on the dollar. Everything else costs more than $1, but the hamburger and cheeseburger are both still under $2 a piece. The most expensive item on the Hardee’s Value Menu is the BBQ Chicken Sandwich. At under $5 this is not cheap, but when you see what you get for your money, you’ll agree that it’s definitely good value. As for the rest of the Hardee’s menu, you can get a burger and sides for less than $10 (bear in mind that the burger is much bigger than what you will find at “cheaper” chains like White Castle) and you can also get a huge serving of fried chicken for under $20. This 20 piece meal comes with a small drink and some fries, and leaves enough money leftover for a Value Menu meal. Assuming you have any room left, that is. To see more Hardee’s Menu Prices, just read our guide. As always, we work hard to ensure this is kept up-to-date and is accurate at all times. There are a lot of calories in Hardee’s menu items. We hate to be the bearers of bad news, but this is not health food. In fact, if you have one big meal here then there’s a good chance you will go over your RDA for calories, and an even higher chance you’ll get more than your fill of fat and salt. That’s because these burgers are thick, and they come packed with a selection of other fillings. Add a sugary drink and some super-fatty fries to the mix, and you’re going to need to hit the gym pretty hard to burn it all off. This applies to their Mexican options, their breakfast options and pretty much everything else on the Hardee’s menu. There are healthier options though. You’re not going to find a superfood smoothie like you would find at Jamba Juice. But you can certainly cut down on the calories and the fat. It’s just a case of knowing what’s available and knowing what’s in your chosen order. To help with that, we have created a Hardee’s Nutrition Info page to lend you a helping hand. Hardee’s is a huge chain in the United States. It had close to 200 locations here by the end of the 1960s, and that only grew from there. When CKE Restaurants acquired the brand at the end of the 1990s, there were over 3,000 locations in total. This is an impressive number, and one that puts them on par with some of the biggest brands in the world. But their reach is just as impressive. As with many big chains that have spread worldwide, including Five Guys and Taco Bell, Hardee’s can be found in several other countries. There are more than 300 locations in the Middle East, all of which are handled by the Americana Group, who also control their franchises in Pakistan. Hardee’s store hours vary depending on your location. This is the case across the United States, where times may differ by an hour or two. But it is also the case in their international locations, where those differences can be considerable. In most cases, their US locations open from 6:00am until 10:00pm from Monday to Saturday, with these times reduced by an hour either side on Sunday. They serve breakfast during the first five hours of the day and they stop serving this at 10:00am, so make sure you get in early if you want to try these options for yourself.